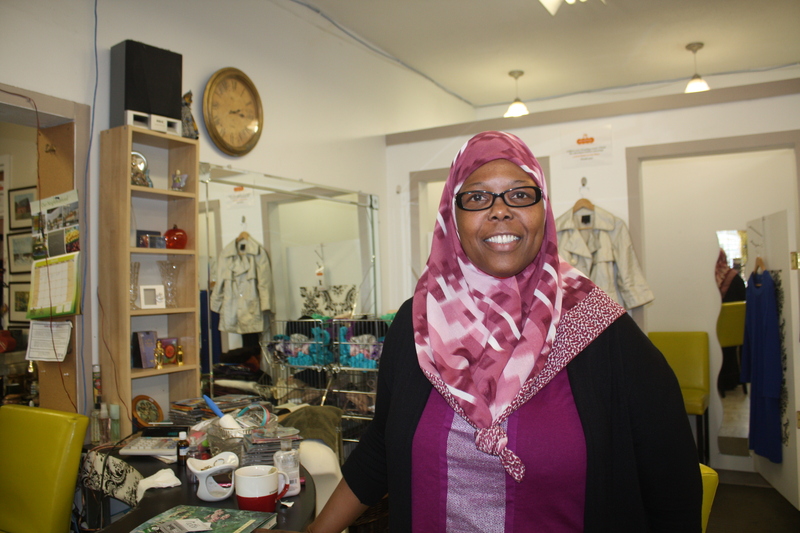 Zainab Bernard is the owner of Miscellany finds, a second-hand shop on East Hastings St. near Nanaimo. 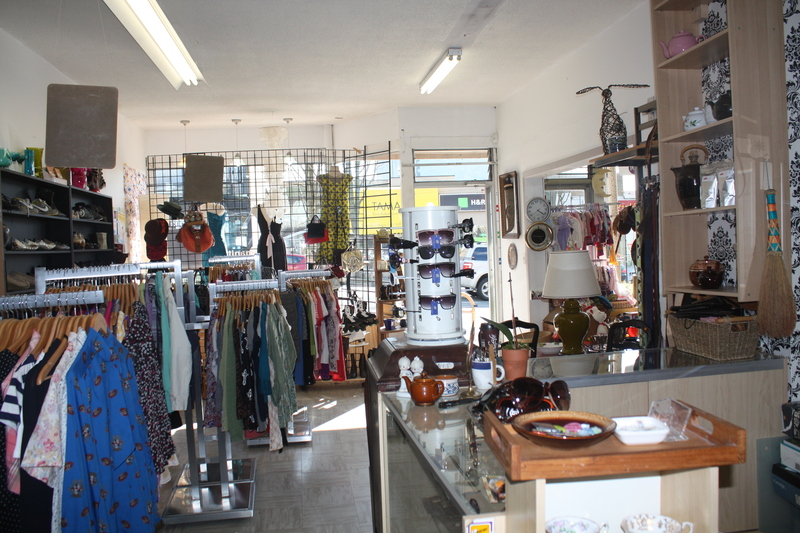 Zainab opened the shop in Sept. 2009. It’s a social-enterprise by Women working for Women, a non-profit she started with her partner. The space is run by volunteers, including “inmates from Corrections Canada who come in to do training and then go back to prison to finish their sentence” before they will be released and have to start life anew. On Thursday nights, there’s a Muslim women’s drop-in, where “women get together to vibe,we’re just vibin’ ” Zainab says laughing. A couple walk in during this glorious sunny day bearing two bags of clothes to drop off. Most of the donations are from “people like you and me,” although she also gets some from those in the fim/tv industries and businesses. Half of the store is for clothes and accessories. 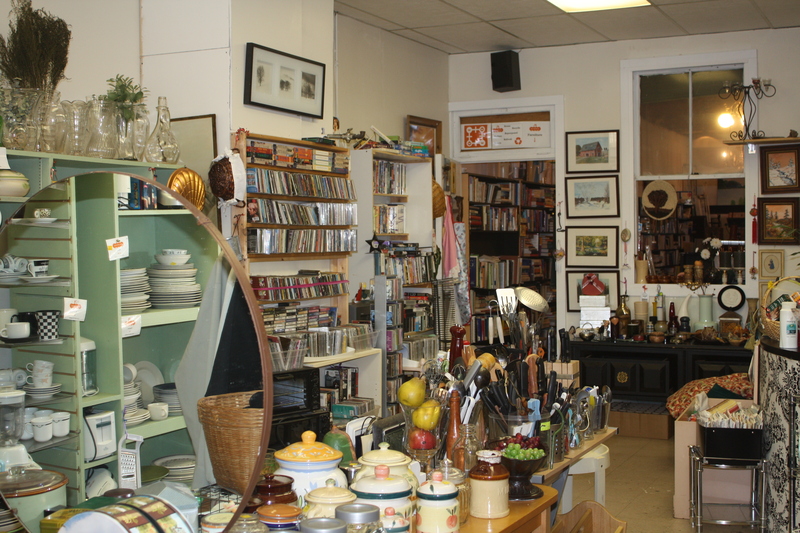 The other half is filled with home and kitchen furnishings. Some are retro-cool looking, like ice-cream scoops from the Nixon era. Hipster heaven. They will also connect a woman with a person donating furniture so they can do it directly and have the item delivered to the woman’s home. A new mixed-use development on Slocan St. will mean that renters in Hastings-Sunrise will have more choice when it comes to finding a place to live. At a public hearing on Feb.21, council unanimously voted to approve the developer’s application to have the current space rezoned. “It’s the new kid on the block,” said Allan Diamond the architect behind the building plan. It’s clear that change is coming to the neighborhood. The majority of Vancouverites are renters and in Hastings-Sunrise, most of the residential-space is set aside for single-family dwellings. This new development is for a four-story building that will feature 41 suites with commercial space on ground floor. Of these, four of the suites will be two-bedroom, and seven will be one-bedrooms. Rents are considered affordable: a studio suite in the new building would rent for approx. $770 and a one-bedroom for $1,020. Hastings-Sunrise. Home to the PNE and a diverse mix of residents. Young professionals, looking to enter the housing market have been able to find some of the more affordable homes in the city. In fact, most of the homes in the area are single family dwellings, some with rental units. But as with the city at large, prices continue to increase for both owners and renters, and for the latter, who naturally tend to be lower income, it’s becoming a greater challenge finding decent, affordable housing in the area. Mary Lyn Tait and her partner Jason Cain are a couple in their mid-twenties who live in the area. Together they have a 19-month old daughter Hayley and a dark history that they’ve gone to great lengths to move past. Cain has lived in the area on and off for most of his life. He’s had brushes with the law and at one point was arrested following a drunken altercation with Tait. The court intervened and in 2011, Hayley was taken into a foster home for a year because both Tait and Cain were addicted to alcohol and were found unfit to care for their baby girl. The couple have Fetal Alcohol Syndrome, a disorder that affects the brain and which is caused by high consumption of alcohol during pregnancy. Tait suspects Hayley may have it as well. Since she became sober 18 months ago, “our life has changed a lot,” she said. Cain who is now working full-time agrees. “Now that I have a family, it’s much better,” he said. They have both noted an improvement in the neighbourhood, noting that drug-dealers have moved further west on Hastings.